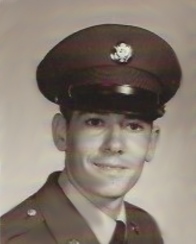 Hunter Lemoine, former Vietnam Veteran, passed on October 30, 2018 at the age of 77, peacefully in his home. Hunter was born March 31, 1941 in Plaucheville, Louisiana to the late Ovide Lemoine and Eleanor Couvillion Lemoine. He was the third of six children, one preceded him in death. Hunter married Sharon Lemoine in 1968 and had two children, Dawnielle Heustis (Philip) and Dawayne Lemoine. He was an individual who was loving, caring, and always put others first. Hunter leaves cherished memories of his siblings, children, 7 grandchildren - Jennifer Chase (Charles), Ashley Lucas (Louis), Kourtney Rosales (Daniel), Manny Heustis, Stephanie Lemoine, Johnathan Lemoine, and Matthew Lemoine, 7 great-grandchildren, nieces, nephews, cousins, and friends.